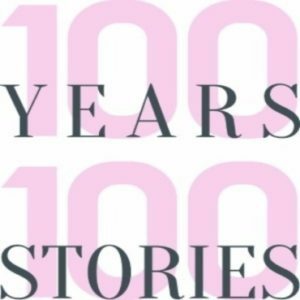 To help celebrate our Centennial anniversary, the Junior League of Atlanta is excited to share a range of stories from members across decades about their time within the organization. Whether speaking about memories, experiences or life lessons, all of the members talk to the pivotal role the Junior League of Atlanta served within their lives. With these stories, the JLA honors its 100-year legacy of amazing servant leaders. “It was the sense of community that we all came together in a positive way.”– Terri Duckett, President 2001-2002, on having a fundraiser just days after 9/11. “It was just great to work with women in the League and do something for another League and come together as an international organization and help heal a city and help heal a League.” – Patti Lander, President 2002-2003, on traveling with fellow JLA members to New Orleans after Hurricane Katrina. “Once I got into the League, I sort of jumped in with both feet and just loved it!” -Winifred Davis, President 1975-1976, recalling her time in the League as it was growing and growing. “I wanted to remind all of our members that we are all in this for a lifetime. There’s something for everyone in every stage of their lives, in every stage of a women’s life, in the Junior League of Atlanta.” – Camille Kesler, President 2012-2013, on the meaning behind the theme for her League year, Journey of a Lifetime. “Embrace the Junior League and all of the opportunities that are available in it. Take on leadership roles that are outside your comfort zone.” – Audra Dial, President 2010-2011, speaks to all of the resources the League offers its members.